For the week of March 26-30, 2018, we have many current sitcom stars and past sitcom stars on TV talk shows! All times listed are Eastern. So get your DVRs (or whatever you use) ready! Ready? Here is all what you need to know for the coming week! 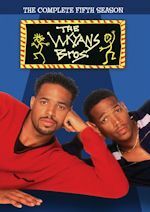 Marlon Wayans (The Wayans Bros.) - Watch Marlon on a repeat of The Tonight Show Starring Jimmy Fallon at 11:34pm on NBC. Sara Gilbert (Roseanne/Living Biblically/Bad Teacher/Twins) - Sara visits The Late Show with Stephen Colbert at 11:35pm on CBS. Billy Eichner (Difficult People) - Billy appears on a repeat of Late Night with Seth Meyers at 12:36am on NBC. China Anne McClain (Tyler Perry's The Paynes/A.N.T. Farm/Tyler Perry's House of Payne) - China Anne is a guest on Late Night with Seth Meyers at 12:36am on NBC. Zachary Quinto (So Notorious) - Zachary stops by The Late Late Show with James Corden at 12:37am on CBS. Michael Ian Black (Wet Hot American Summer: Ten Years Later/Wet Hot American Summer: First Day of Camp/Ed) - Michael drops by The Opposition with Jordan Klepper at 11:30pm on Comedy Central. Michael Imperioli (Alex, Inc.) - Michael appears on Desus & Mero at 11pm on Viceland. Burt Reynolds (Evening Shade) - Burt chats on The Talk on CBS at 2pm ET/1pm CT-PT. Lena Waithe (Master of None) - Lena visits The Talk on CBS at 2pm ET/1pm CT-PT. Craig Bierko (Madman of the People/Sydney) - Craig talks about UnREAL on New York Live on WNBC in New York at 11:30am ET. The Cast of Roseanne - Roseanne Barr, John Goodman, Laurie Metcalf, Michael Fishman, Lecy Goranson, Sarah Chalke and Sara Gilbert are guests on ABC's Good Morning America sometime between 7-9am. Lecy will also be on the BUILD Series at 10am. Chloe x Halle (grown-ish) - Chloe x Halle perform on NBC's Today in the 10am hour. Nia Long (Uncle Buck/The Fresh Prince of Bel-Air) - Nia cooks with Clinton Kelly on ABC's The Chew at 1pm ET/12pm PT/CT. Tiffani Thiessen (Alex & Katie/Saved by the Bell/Saved by the Bell: The College Years) - Tiffani appears on Home & Family on Hallmark Channel at 10am ET/PT. 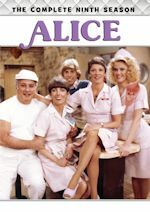 Marion Ross (Happy Days/Brooklyn Bridge) - Marion talks about her book My Days: Happy and Otherwise on Home & Family on Hallmark Channel at 10am ET/PT. Roseanne Barr (Roseanne) and John Goodman (Roseanne/Normal, Ohio) - Catch Roseanne and John on a repeat of Jimmy Kimmel Live! at 11:35pm on ABC. Roseanne, John and Sara Gilbert chat with the ladies of The View on ABC at 11am ET/10am CT-PT. Chloe x Halle (grown-ish) - Chloe x Halle perform on a repeat of Jimmy Kimmel Live! at 11:35pm on ABC. Leslie Odom Jr. (Big Day) - Leslie appears on The Late Show with Stephen Colbert at 11:35pm on CBS. He will also be on CBS This Morning sometime between 7-9am and on the BUILD Series at 3:15pm. Whitney Cummings (Whitney) - Whitney is a guest on a repeat of Late Night with Seth Meyers at 12:36am on NBC. Adam DeVine (Workaholics/Modern Family) - Adam visits The Late Late Show with James Corden at 12:37am on CBS. Nick Swardson (Reno 911!) - Nick stops by Conan at 11pm on TBS. Casey Wilson (Happy Endings/Marry Me/The Hotwives) - Casey is a guest on Watch What Happens: Live at 11pm on Bravo. Yara Shahidi (grown-ish/black-ish) - Yara chats on The Talk on CBS at 2pm ET/1pm CT-PT. She will also be on Access Live, so check your local listings. John Krasinski (The Office) - John appears on a repeat of The Ellen DeGeneres Show, so check your local listings. Jenna Fischer (Splitting Up Together/The Office) and Oliver Hudson (Splitting Up Together/Rules of Engagement/My Guide to Becoming a Rock Star) - Jenna and Oliver talk about Splitting Up Together on Access Live, so check your local listings. Oliver will also be on Steve, so check your local listings and on Home & Family on Hallmark Channel at 10am ET/PT. Lecy Goranson (Roseanne) - Lecy talks about the reboot of Roseanne on People Now at 8:30am and on New York Live on WNBC in New York at 11:30am ET. Zach Braff (Alex, Inc./Scrubs) - Zach talks about Alex, Inc. on ABC's Good Morning America sometime between 7-9am and on New York Live on WNBC in New York at 11:30am ET. Jussie Smollett (On Our Own) - Jussie discusses his debut solo album Sum of My Music on E! 's Daily Pop at 12pm. Mike Epps (Survivor's Remorse/Uncle Buck) - Mike joins Carla Hall to cook a delicious snack on ABC's The Chew at 1pm ET/12pm PT/CT. Da'Vinchi (grown-ish) - Da'Vinchi talks about grown-ish on Home & Family on Hallmark Channel at 10am ET/PT. John Cho (Selfie/Go On/Kitchen Confidential) - John talks about Gemini on the BUILD Series at 1pm. Zach Braff (Alex, Inc./Scrubs) - Watch Zach on a repeat of Jimmy Kimmel Live! at 11:35pm on ABC. He joins Clinton Kelly in the kitchen on ABC's The Chew at 1pm ET/12pm PT/CT. Nick Robinson (Melissa & Joey) - Nick appears on a repeat of Jimmy Kimmel Live! at 11:35pm on ABC. Dana Carvey (One of the Boys) - Dana visits The Late Show with Stephen Colbert at 11:35pm on CBS. John Cleese (Wednesday 9:30 (8:30 Central)) - John is a guest on a repeat of Late Night with Seth Meyers at 12:36am on NBC. Zach Woods (Silicon Valley/Playing House/The Office) - Zach stops by The Late Late Show with James Corden at 12:37am on CBS. Ryan Hansen (Resident Advisors/Bad Judge/Bad Teacher/Friends with Benefits/Party Down) - Ryan appears on a repeat of Last Call with Carson Daly at 1:35am on NBC. Chloe x Halle (grown-ish) - Chloe x Halle are guests on Comedy Central's The Daily Show with Trevor Noah at 11pm. Ed Helms (The Office) - Ed stops by Conan at 11pm on TBS. Drew Barrymore and Timothy Olyphant (Santa Clarita Diet) - Drew and Timothy are guests on Watch What Happens: Live at 11pm on Bravo. Anne Heche (Save Me/The Michael J. Fox Show) - Anne is a guest on a repeat of Harry, so check your local listings. Jackée Harry (Tyler Perry's The Paynes/The First Family/Sister, Sister/227) - Jackée visits The Real, so check your local listings. Michael Imperioli (Alex, Inc.) - Michael talks about Alex, Inc. on New York Live on WNBC in New York at 11:30am ET. Chris Diamantopoulos (The Dangerous Book for Boys), Swoosie Kurtz (The Dangerous Book for Boys/Mike & Molly/Love & Money/Love, Sidney) and Erinn Hayes (The Dangerous Book for Boys/Kevin Can Wait/Guys with Kids/Worst Week) - Chris, Swoosie and Erinn talk about Amazon's The Dangerous Book for Boys on New York Live on WNBC in New York at 11:30am ET. Mike Epps (Survivor's Remorse/Uncle Buck) - Mike talks about his new book Unsuccessful Thug: One Comedian’s Journey from Naptown to Tinseltown on ABC's Good Morning America sometime between 7-9am. Roseanne Barr (Roseanne) - Roseanne appears on The Wendy Williams Show and Access Live, so check your local listings. Neil Patrick Harris (How I Met Your Mother/Stark Raving Mad/Doogie Howser, M.D.) - Neil talks about A Series of Unfortunate Events on NBC's Today sometime between 7-9am and the BUILD Series at 2pm. Anthony Atamanuik (The President Show) - Anthony will be on the BUILD Series at 11am. Craig Bierko (Madman of the People/Sydney) - Craig talks about UnREAL on the BUILD Series at 5pm. Mike Epps (Survivor's Remorse/Uncle Buck) - Catch Mike on a repeat of Jimmy Kimmel Live! at 11:35pm on ABC. He will also be on Rachael Ray, so check your local listings. Helen Hunt (Mad About You/It Takes Two) - Helen appears on The Late Late Show with James Corden at 12:37am on CBS. Rosie Perez (Search Party) - Rosie is a guest on Comedy Central's The Daily Show with Trevor Noah at 11pm. Sara Gilbert (Roseanne/Living Biblically/Bad Teacher/Twins) - Sara visits Watch What Happens: Live at 11pm on Bravo. Cole Sprouse (The Suite Life of Zack & Cody/The Suite Life on Deck) - Cole stops by LIVE! with Kelly and Ryan, so check your listings. Chris Meloni (Surviving Jack/The Fanelli Boys) - Chris appears on a repeat of Harry, so check your local listings. Burt Reynolds (Evening Shade) - Burt is a guest on Steve, so check your local listings. Lena Waithe (Master of None) - Lena visits Steve, so check your local listings. Garcelle Beauvais (The Jamie Foxx Show) - Garcelle drops by Steve, so check your local listings. Minnie Driver (Speechless/About a Boy) - Minnie talks about Spinning Man on NBC's Today in the 10am hour. She is tentatively scheduled to appear on New York Live on WNBC in New York at 11:30am ET. Jason George (Eve) - Jason talks about Station 19 on Access Live, so check your local listings. Bryan Cranston (Malcolm in the Middle) - Bryan talks about Isle of Dogs on NBC's Today sometime between 7-9am. Michael Imperioli (Alex, Inc.) - Michael is a guest on the BUILD Series at 10am. Chris Diamantopoulos (The Dangerous Book for Boys), Swoosie Kurtz (The Dangerous Book for Boys/Mike & Molly/Love & Money/Love, Sidney) and Erinn Hayes (The Dangerous Book for Boys/Kevin Can Wait/Guys with Kids/Worst Week) - Chris, Swoosie and Erinn talk about Amazon's The Dangerous Book for Boys on the BUILD Series at 4pm. Paul Rudd (Wet Hot American Summer: Ten Years Later/Wet Hot American Summer: First Day of Camp) - Watch Paul on a repeat of The Tonight Show Starring Jimmy Fallon at 11:34pm on NBC. Laurie Metcalf (Roseanne/The Big Bang Theory/The McCarthys) - Laurie appears on a repeat of The Tonight Show Starring Jimmy Fallon at 11:34pm on NBC. Louie Anderson (Baskets/The Louie Show/Life with Louie) - Louie appears on a repeat of Last Call with Carson Daly at 1:35am on NBC. Ed Helms (The Office) - Ed chats on The Talk on CBS at 2pm ET/1pm CT-PT. Rob Riggle (Golan the Insatiable/Gary Unmarried) - Rob appears on a repeat of Harry, so check your local listings. Esther Povitsky (Alone Together) - Esther is a guest on a repeat of Harry, so check your local listings. Garcelle Beauvais (The Jamie Foxx Show) - Garcelle appears on a repeat of Steve, so check your local listings. Sara Rue (Impastor/Malibu Country/Less Than Pefect) - Sara discusses starring in an episode of Netflix's A Series of Unfortunate Events on People Now at 8:30am. Josie Bissett (The Hogan Family) - Josie talks about Hallmark Channel's When Calls the Heart on Home & Family on Hallmark Channel at 10am ET/PT and on Access Live, so check your local listings. When Jake is asked to negotiate a hostage situation with a jewel thief, he learns that the culprit seems to be a familiar face; Gina and Amy help Charles manage the high demands of his food truck. Tandy tries to be a helpful, responsible adult to finally win Gail's praise; Todd is furious with Melissa for keeping him away from Jasper. Vanessa thinks she’s friendless when none of her pals are available to go to dinner with her on her birthday. Feeling lonely while waiting for Kevin to pick her up for what she thinks is just a dinner for two, Vanessa gets tipsy with Kyle, and the two share a flirtatious moment. When Andi’s folks decide to visit them for Easter, Adam and Andi have to keep the peace between both sets of parents. Dan Lauria and Nancy Lenehan guest star as Frank and Alice, Andi’s parents. Franco’s girlfriend, Tavi (Shamikah Martinez), begins to wonder if he still has feelings for Sofia when he turns to her for advice. Also, Fawz dons a disguise and goes undercover to try and catch the culprit who’s been stealing from one of his restaurants. 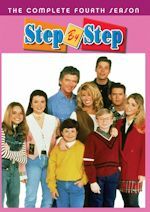 Chip tries to find a loophole to “honoring thy father” when Ron (Christopher McDonald), his overbearing dad, decides to surprise him and Leslie with a visit. Francine hosts a dinner party despite a serial killer on the loose who attacks dinner parties and terrorizes the town; when the lights go out and guests start to disappear, Roger takes charge of solving the mystery of who could be stalking the party. 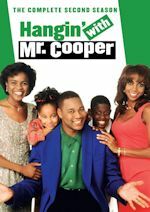 During Bernard's Bible-themed birthday party, Ronnie becomes jealous of Colin flirting with another woman who happens to look similar to his ex-wife; Nichole attempts to keep her mom from learning that she works as a stripper. Mickey and Alba concoct an ill-fated plan to teach Ben a lesson when they catch him lying; Chip comes up with a devious plan to become the "Prince" at his school formal; Jimmy decides to give Sabrina some lessons on how to dance. Johnny and Moira get too involved at a singles event; Alexis runs into an old friend. Laurie (Jennifer Irwin), the new district manager, visits the store and decides to make some cuts to save money. Amy (America Ferrera) and Jonah (Ben Feldman) plead with her to not fire anyone and search for other ways to make up the money. Meanwhile, Mateo (Nico Santos) struggles to prove his skills on the cash register. Jack (Glenn Howerton) finds out his ex-girlfriend Meredith (guest star Collette Wolfe) needs a venue for a charity fundraiser and has the perfect place: his student Victor's house. Victor (Jacob Houston) and the other kids are inspired by Jack to party for the first time. Grace (Debra Messing) brings Will (Eric McCormack) for support when she goes home to celebrate her deceased mother's birthday. Jack's (Sean Hayes) faith in love is crushed after breaking up with Drew (guest star Ryan Pinkston) and uncovering a secret in Karen's (Megan Mullally) marriage. Vince, Michael, Matthew and the rest of the Champions staff struggle to figure out why they're losing female members. Under Abuela's watch for the weekend, the Diaz children try to keep her visit disaster-free, until Harley learns that Ethan spilled her deepest secret. When Frankie declares a girl at their school is a bad person, Paige sets out to prove her wrong. Ciara entrusts Arc with her Pixie Ring, which turns him into a hideous beast when he tests the ring's powers on himself; desperate to undo the curse, Ciara and Arc seek the help of the Pixie Queen, who reveals she has beef with Arc. When Sophia rescues the dog of Hollywood star Craig Brooks, she seizes the opportunity to set her mother up with him; when that does not work, she takes things a step further and has the star and his three children move into her home.